Critics and audiences may have a difference of opinion on how great (or ghastly) Glass is, but the box office numbers speak a unanimous truth: the M. Night Shyamalan superhero thriller is a financial success. Per Variety, Glass is about to end its first weekend at the domestic box office with $47 million. After earning $3.7 million in Thursday night previews on January 17 ahead of its legitimate launch, the film went on to gross $40 million from Friday, January 18 to Sunday, January 20. Given that Glass' debut fell on the Martin Luther King Jr. Day holiday weekend, its opening revenue also accounts for earnings on Monday, January 21. Universal Pictures anticipates that Glass will round out its four-day frame with $47 million, and Box Office Mojo is already posting that figure for Glass' domestic earnings as of Monday afternoon. Industry analysts had previously predicted that Glass would pull in roughly $50 million stateside when it opened wide, so a $47 million take-home doesn't fall too short of expectations. And, arguably more importantly, Glass yielding such a sum over the holiday weekend means that the film has recouped its reported $20 million production budget (which came directly from the pockets of Shyamalan himself) twice over before it even approaches its one-week box office anniversary. It will also see Glass become the third-biggest Martin Luther King Jr. Day weekend earner in history, coming in behind American Sniper ($107.2 million in 2015) and Ride Along ($48.6 million in 2014), and the fourth-best January debut of all time. Glass, which is rolling out under Buena Vista International in overseas territories (with the exception of China), is performing similarly well overseas. A sequel to Shyamalan's Unbreakable and Split that places Samuel L. Jackson's Elijah Price, Bruce Willis' David Dunn, and James McAvoy's Kevin Wendell Crumb together in a psychiatric facility under the care of Sarah Paulson's Dr. Ellie Staple, Glass has taken in $48.5 million across 55 international markets. Russian moviegoers provided most of Glass' overseas profits this weekend, accounting for $5.2 million of the $48.5 million. Mexico followed with $4.5 million, then the United Kingdom with $4.3 million, France with $3.4 million, Korea and Germany with $2.8 million each, Australia with $2.4 million, Italy with $2.1 million, Spain with $2 million even, and Brazil and Indonesia with $1.5 million each. According to Box Office Mojo, Glass is outpacing its predecessor Split, which focused on Kevin Crumb and his host of distinct and dangerous personalities, by 13 percent. Not accounting for earnings on Monday, January 21, Glass has pulled in $89 million worldwide in its first few days in theaters. Insiders had anticipated Glass to pack a bigger punch when it hit screens, but pre-release critical reviews that painted it as a total disaster at worst and a so-so sequel that was too self-aware and couldn't stack up to traditional superhero flicks at best put somewhat of a damper on the hype and snuffed out some of its flame. Still, Glass attracted the most attention from moviegoers aged 25 and older, who made up 65 percent of those who were keen to see Glass even after reading the less-than-amazing reviews. 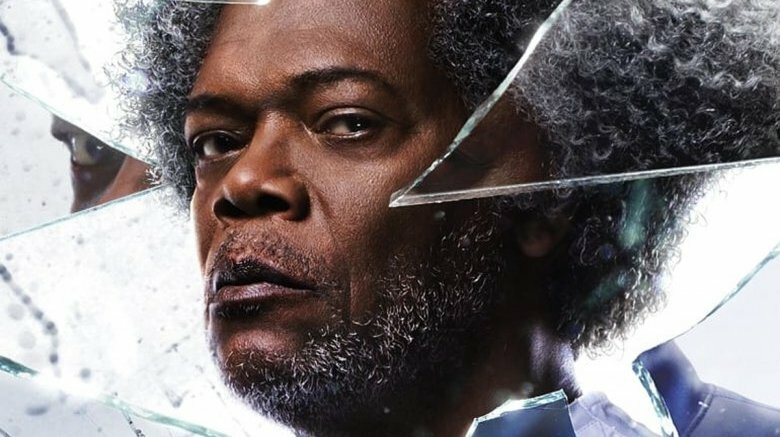 An older audience for Glass makes sense considering the film follows up Unbreakable from nearly 20 years ago and brings an end to the trilogy that film started. Even with the unsavory critical response, Universal is pleased with Glass' financial performance and how fans have received it. The studio's president of domestic distribution Jim Orr said in a statement, "That speaks to the breadth of this trilogy. M. Night Shyamalan masterfully brought together the characters of Unbreakable and Split to create a highly anticipated event film. We couldn't be happier to be in business with Night and Blumhouse." With a domestic opening of $47 million, Glass is now tracking to earn between $85 million and $95 million stateside by the time it concludes its theatrical run. If the film continues on the path it's currently traveling, with its international earnings just about matching its domestic pull, it could wrap up with roughly $170 million to $190 million overall. Not at all shabby for a movie that cost just $20 million to make. Though some reviewers broke Glass to pieces — writing that Shyamalan "seals his fate as being forever aligned with ineptitude" with the film and that it represents "Shyamalan at his worst, a speechifying, moralizing scold who wants your adoration but doesn't want to put in the effort, or himself at risk, to earn it" — it has become increasingly apparent that moviegoers don't feel the same. Nearly four-fifths of fans registered on Rotten Tomatoes enjoyed the trilogy-ender enough to give it a positive score, with one fan going so far as to argue that critics "better see it again so they can see the true potential of the Glass movie." For some, Glass will go down as a critically hated movie that's actually awesome. For others, it will join the likes of Venom and Bright on the list of the biggest divides between audience and critics scores on Rotten Tomatoes. But for Shyamalan, Universal, and the film's cast and crew, Glass is an undeniable money-maker.